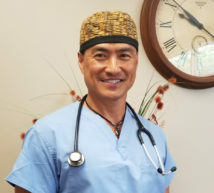 Dr. Romano Adajar graduated from the University of South Dakota School of Medicine in 1992. He graduated from the University of Missouri-Columbia Department of Anesthesiology & Perioperative Medicine in 1996. He is a board certified diplomate of the American Board of Anesthesiology. He has over 20 years experience in perioperative anesthesia care and interventional pain management.